The following is an overview of human rights violations in Iran on December 7th, 2018 based on the information compiled and verified by Human Rights Activists News Agency (HRANA). An individual who was arrested with a murder charge, finally was saved from execution in jail by the help of judicial authorities and victim’s family’s consent. This citizen had spent the last 17 years waiting for the execution in prison. The murder took place in 2001 in one of the villages of Sarab that is a city in East Azarbaijan province. In another case, a prisoner who was accused of murder and was sentenced to death, by the intercession of Imam of Friday prayers of Andimeshk and forgiveness of the next of kin, was saved from the gallows. Khodakaram Rahimi, the head of Andimeshk’s judiciary office said “we have 15 million cases in the judicial office and with the help of reconciliation committees, they are investigating precisely and quickly. Andimeshk is a city in Khuzestan province. Jamshid Agha Rahimi, a prisoner who was accused of murder was executed on December 4th,2018 in the Bandar Abbas central prison. An informed source said: Jamshid was a resident of Haji Abad. 15 days before his execution, he was transferred from Haji Abad to the Bandar Abbas prison. He was accused of murdering a man who harassed Jamshid’s sister in 2014. His execution has not been announced from Iran’s media yet. Earlier this week, Iranian Writers Association invited people to commemorate 20th anniversary of Mohammad Mokhtari and Mohammad Ja’far Pouyandeh murders in Emamzadeh Taher cemetery in Karaj in Alborz province. But today, security agents came to the cemetery and did not allow people to mark the anniversary of their deaths. Mohammad Mokhtari and Mohammad Ja’far Pouyandeh were among the victims of chain murders in Iran. The chain murders of Iran were the assassination in the string of disappearances and suspicious deaths of intellectuals and political figures in the second half of 1998. After Mokhtari was reported missing, the body of Mohammad Ja’far Puyandeh was found near Karaj. 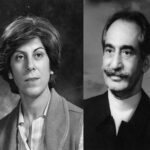 The case of these four individuals became known as the chain murders.Prior to their murder, Dariush and Parvaneh Foruhar, leaders of the Iran Nation Party, were brutally murdered in their house. A political activist, Masoud Babapour, was sentenced to 13 years in prison and was banned from social rights for two years with the charges of propaganda against the regime and acting against the national security. He was arrested on November 27th, 2009 and after several months of interrogation, was sentenced to two years in prison back then. Nima Shabannejad, the actor who played a transgender character in an earlierly- banned Iranian TV series, Mamnoee, announced his disagreement on the censorship of his role in this TV series. The Ministry of Oil has decreased natural gas allowance per household by the verge of winter. Teachers in Kermanshah announced their solidarity with the worker and student protests. A teacher who had physically punished a student in a school in Hamedan was suspended and the school’s principal and his assistant principal were dismissed. HRANA News Agency – This year, as in previous years, Security Forces prevented commemoration of Dariush and Parvaneh Forouhar to be held.